The trouble with having a dedicated team who go spelunking through the dark paths of the internet in search of That Which Must Not Be Downloaded is that you’ve got to deal with what it does to them: How fine is the line between Burned-Out and Hollowed-Out? What’s it like to be back at the Ops Centre as the strike team hits a Mythos Infestation, trying to keep the strike team alive as it all goes to hell, or worse, around them? You’re the second-best, and the very best spare no effort to make sure you never forget it. Why might a time-traveller need a 74-gun ship of the line? And how long does it take to sail home when you’re not really sure how the time drive works? Abd Alhazred has been dead for centuries, but the revelations of blasphemous events just keep on coming, through the medium of an unholy relic; When the Icon glows, it’s time for Alhazred’s Angels to leap into action. Battling Mythos threats would be easier if your guide wasn’t insane, out of touch, and overly fond of metaphor and hyperbole. Thanks for the shoutout for our Uncharted Worlds episodes! Another great episode, but one I just couldn’t come up with an idea for. Craig’s whole concept reminds me of a slightly sillier version of “Ken Hite’s Adventures Into Darkness,” which had versions for a couple of different games. The conceit of “Adventures” is that H.P. Lovecraft did not die of cancer in 1937 but survived and made money to cover his medical bills by scripting comics based on his stories. Heh, that does look nifty. Of course I am reminded that Comics Authority Code does kind of look like an Elder Sign. Maybe the “Seduction of the Innocent” was his too? 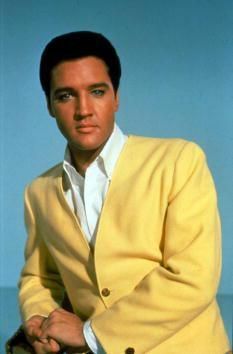 Unca’ Howie would certainly have a quailed at The King and his “unspeakable pelvic gyrations” and “ceaseless rhythms”.